Treating gum disease reduced symptoms of prostatitis, according to researchers from Case Western Reserve University School of Dental Medicine and the departments of urology and pathology at University Hospitals Case Medical Center. “This study shows that if we treat the gum disease, it can improve the symptoms of prostatitis and the quality of life for those who have the disease,” said Nabil Bissada, D.D.S., chair of Case Western Reserve’s department of periodontics and the corresponding author of a research article (“Periodontal Treatment Improves Prostate Symptoms and Lowers Serum PSA in Men with High PSA and Chronic Periodontitis”) that appears in Dentistry. Dr. Bissada explained that gum disease not only affects the mouth, but is a system-wide condition that can cause inflammation in various parts of the body. The dental school has previously found a link between gum disease and fetal deaths, rheumatoid arthritis, and heart disease. Scientists studied 27 men, 21 years old and older. Each had had a needle biopsy within the past year that confirmed inflammation of the prostate gland, and a blood test that showed elevated prostate specific antigen (PSA) levels—possible signs of inflammation and cancer. The men were assessed for symptoms of prostate disease by answering questions on the International-Prostate Symptom Score (IPSS) test about their quality of life and possible urination issues. The men also had to have at least 18 teeth and were examined for signs of gum disease, such as increased levels of inflammation and bleeding and/or loose teeth due to attachment and bone loss. All the men had moderate to severe gum disease, for which they received treatment. They were tested again for periodontal disease four to eight weeks later and showed significant improvement. 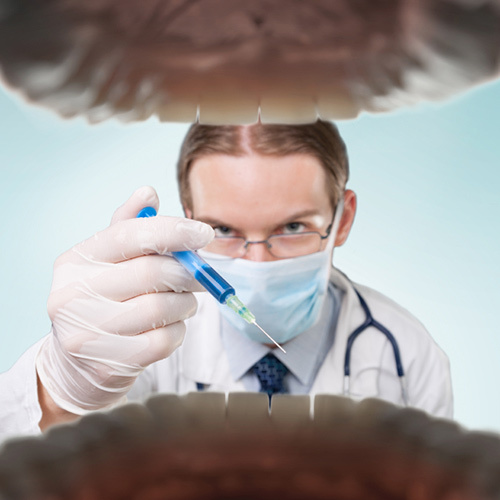 During the periodontal care, the men received no treatment for their prostate conditions. But even without prostate treatment, 21 of the 27 men showed decreased levels of PSA. Those with the highest levels of inflammation benefited the most from the periodontal treatment. Six participants showed no changes. Symptom scores on the IPSS test also showed improvement. Dr. Bissada is now conducting follow-up research to support the first study's findings. He hopes to make periodontal treatment a standard part of treating prostate disease, much like cardiac patients are often encouraged to visit their dentist before undergoing heart procedures and a dental checkup is advised for women who are pregnant or considering pregnancy.